Why not just raise money and spend it? Why sock it away where you cant get the corpus? Because it is important to create a fund that cannot be depleted through borrowing. Weve seen that all-too-often, particularly when an organization is having difficult times. It is tempting to dip into a savings account, or any account, and that pressure can rise and fall depending on the economic times and leaders in the organization at the time. This fund will provide sustained funding for generations to come, enduring changes in SPJ leadership, rough economic times and the whims of foundations and donors. When we give to this fund, we know it will be used for protecting journalism forever. Isnt there already something like this out there? Not that we can find (and let us know if you hear of any!). There are some funds, but they are not endowed, or they are restricted to operations, training, or limited in their advocacy because they are under 501(c)3 organizations. Why hasnt anyone else done this already? Why now? The best we can tell there are a few reasons this does not currently exist. One, it is really difficult to garner donations that are not tax deductible. Two, news organizations and traditional funders have been cutting back and are focusing their efforts in digital media, training and other priorities. Three, a lot of advocacy organizations need to focus their efforts on daily operations and do not have the capacity to build an endowment. That is why it is so important to build this fund for long-term sustainability. How would an endowment work? We will put money into an endowed investment account, which means that money put there cant be spent for anything  it is in a lockbox of sorts and it cant be raided later. The interest earnings from that account will then be available for litigation, lobbying, external communications, and other advocacy initiatives, and restricted to those sorts of activities. Initially, the earnings would likely go into the LDF fund for continued litigation, but as it grows some of it may be used by the SPJ Board for other related initiatives, such as hiring a lobbying firm or launching a public education campaign. Specific activities will depend on the needs of the time. Doesnt SPJ already have an endowment for legacy gifts? You are thinking of the SPJ Foundation 1909 Society, which comprises people who have put the SPJ Foundation in their wills. The foundation controls a $12 million endowment that provides the bulk of SPJs funds for training and education. It is distinctly different from this advocacy endowment because the SPJ funds are legally limited in their use for advocacy. If you really value improving journalism through training, give to the 1909 Society. If you believe in advocating and fighting for press freedom, give to this endowment. Better yet, plan legacy gifts for both! Who is going to give to this? How is it really going to grow to anything substantial? While we will hope that media organizations and foundations help with the cause, we cannot rely on them. That is why we are going to look to members and other supporters to leave legacy gifts in their wills. Morbid, yes, but its a practical way for everyday journalism supporter to give big to the cause and leave a legacy, when that money wont be needed anyway. That is where the substantial gifts will emerge, but it will take time, perhaps decades. Also, we will look outside of journalism to people who support freedom of information, such as the tech industry and others who support the cause. Why SPJ? Why not some other organization? Because SPJ is a one of the few journalism organizations that is a 501(c)6, which has the ability to advocate, lobby and aggressively fight for press freedom in the political arena. Also, SPJ is the largest journalism in the nation and has a long tradition of fighting for freedom of information. The LDF is already established. This effort to expand simply makes our resources stronger and sustained. Is SPJ allowed to lobby, through LDF or other means? Yes. SPJ is a 501(c)6 non-profit, which is allowed unlimited lobbying and political involvement (e.g., the National Football League and Chamber of Commerce are 501(c)6 non-profits). The LDF is managed by SPJ (not the SPJ Foundation), and so those funds can be used for unlimited lobbying, even as campaign contributions to political candidates, if we wanted. What is the tax deductible status of donations under SPJ (a 501c6)? Because SPJ is a 501(c)6, contributions are not tax deductible. Donations to the SPJ Foundation (a 501(c)3 are tax deductible, but cannot be used for lobbying, which is why the foundation primarily funds education and training. 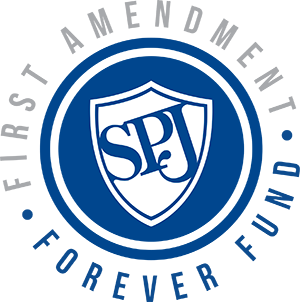 Can SPJ membership dues be used toward lobbying and advocacy? Yes. Members are paying to be a part of a 501(c)6 and all that comes with that, including lobbying. Some organizations wont pay membership dues for their employees because of this. For example, public universities are reluctant to have their funds pay for lobbying outside of their control, so they might not pay for membership dues for professors if the organization lobbies. If the SPJ Foundation gives money to SPJ, can that money be allocated for this fund or for lobbying? No. Any money the SPJ Foundation gives to SPJ is given with restricted intent, as a grant. SPJ is not allowed to use the money for anything else. Any money that is not spent for its restricted intent is sent back to the Foundation, or SPJ can ask the foundation to repurpose the money for another educational purpose. SPJ Foundation money would not be used for lobbying, but membership revenues and advocacy endowment funds can be. Would this change how LDF does business? Nothing needs to change with how LDF currently operates, and it likely wouldnt change in the near future. The LDF committee will still review grant requests for litigation, doll out up to $5,000 per request, and recommend further requests to the full SPJ board. Eventually, as revenues increase from the endowment, the LDF Committee may choose to spend beyond helping litigation, such as in advocacy and lobbying. As earnings become substantial, say $100,000 or more per year (with a $2 million endowment), then it is likely the executive director and full SPJ board will determine much of the expenditures (e.g., hiring a lobbyist), while still delegating litigation requests to the LDF Committee, and it may change over time depending on the needs of journalism at the time. Remember, this is forever. Will this endowment only fund SPJ work? We hope not. The intent is to create a war chest that can leverage the expertise of different groups. For example, the National Press Photographers Association is outstanding at fighting for photographers rights, and we ought to support their efforts. The Student Press Law Center is the perfect partner to fight for student press rights. The National Freedom of Information Coalition can provide funds for litigation and we can help state FOI coalitions through lobbying and more advocacy work. We also can help fund projects for the Reporters Committee for Freedom of the Press, as well as OpentheGovernment.org and other allies. It is our opportunity to play a strong role in activities that 501(c)3s cant. And those groups can help us. Dont I have to be rich to give that kind of money? First, please give whatever you like. Even $5. Its not the amount that matters. Its backing the cause. Second, its not that difficult to pledge money that you wont need when you are gone from this planet, and most of us will have something to leave behind, particularly in our 401(k) accounts. It is hard to predict, and certainly anyones financial situation can change, especially in the last few years of life. Another option is to pledge a percent, say 10 percent, and provide some indication of what you estimate that to be. That way your dependents are guaranteed most of your money, if that is what you wish. How will legacy gifts be recognized? People who leave a legacy gift will be recognized on the SPJ website (or their name left off if they wish to remain anonymous), in SPJ literature such as Quill, and at the national convention at the LDF auction. If I plan to leave a legacy gift, am I legally bound to stick to it? What if I go broke and cant pay up? Dont worry, you can adjust your will at any time. Its your commitment to support the cause, but if you dont come through for whatever reason, nobody is going to think less of you. And we all know conditions change. We expect some people will forget to put the pledge in their will or change their minds later. Also, we expect that some people will increase their actual gift without even telling us. The key is getting a commitment now, maintaining that relationship, and seeing the benefits down the road. If we dont ask for that promise now then most people will forget or not see it as a priority. Sign me up! How do I support the endowment? Easy! Just go to this page and fill out the form.